The DLF Group is known as the admired and reputed company in the world of construction. For above six decades the company has been in presence with the strong reputation. If you want to see the example of unmatched excellence and quality then you can take a glimpse of the reputed name of DLF once. The mission of DLF Developers involves developing along with the economic growth of the nation. DLF Builders gave birth to multiple fascinating buildings such as DLF city, DLF Universal Limited, DLF Park Place, DLF Capital Greens, and DLF River Valley etc. DLF is known as India’s largest real estate company and still developing with 300 million sq. ft. of projects under construction. For accuracy, reliability, and quality navigate to DLF Group. Don’t forget to take a glimpse at DLF Hyde Park in Mullanpur. DLF Hyde Park New Chandigarh is a blend of residential and commercial development by DLF Group. The project offers skillfully designed 3BHK independent floors, villas plots, office and commercial space. The total area of the project is 224.98 acres with stilt + 3/G + 2 and number of units is 900 approx. DLF Hyde Park Independent Floors hold cohesive urban design-street furniture, road lighting, and signage. Integrated township with all ease and facilities to reside, work and play. What makes DLF Hyde Park Mullanpur better than others? Yes, the location. Having your own commercial and residential space in the good location is equal to breathe in the environment of satisfaction. The project is well-connected by several modes of transportation plus you will face no long traffic jams or disturbance on the roads of New Chandigarh. When it comes to buying your own residential and commercial space then you have various options such as Zirakpur, Mohali, and Dera Bassi etc. but New Chandigarh (Mullanpur) is one of the finest options for you because first of all easily accessible, secondly location holds the definition of brilliance, third fastest developing real estate area in the vicinity of city beautiful Chandigarh and forth the city is known as the smartest city of Punjab. Besides independent floors, you can also run your vision to DLF Hyde Park Bungalows. The best accommodation blessed with astonishing amenities and features is calling your family. If you’re one of them those who want to grab their own expandable bungalows near Chandigarh then you won’t get the best option than [DLF Hyde Park]. Design holds the definition of brilliance plus you can get the spacious 3 bedrooms, covered verandah, fresh green lawns and dedicated parking space. DLF Hyde Park Mullanpur price won’t put that much weight in your pocket if you once go through the lavish amenities features and specification of these finest bungalows. For details regarding DLF Hyde Park New Chandigarh Price, you can get in touch with us. Book your dream home now. A big space of DLF Hyde Park offers you various options to reside. If you don’t want to be the part of independent floors and bungalows’ list then you have an option of residential plots as well. Here you can check the availability of 350 sq. yd. residential plots in New Chandigarh (Mullanpur). The plots are five kilometers away from city beautiful Chandigarh. Spread over 200 acres, minimum 40 feet extended roads, and enough parking space. If you’re one of them those who’re looking for the suitable and open plots then we recommend you terminate your search at DLF Hyde Park Residential Plots in Mullanpur. For more details regarding price, you can get in touch with us. What are you waiting for? 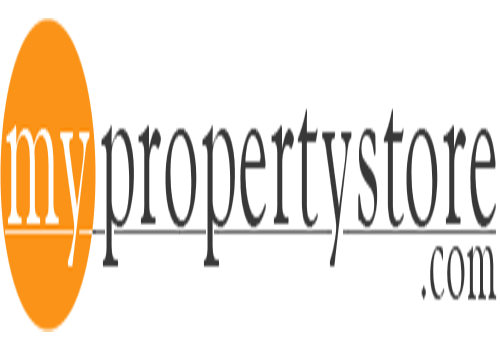 Get your own residential plot near Chandigarh city now. Check out the astonishing amenities you’ll enjoy in this grandeur accommodation. Bring your family to the contemporary lifestyle of DLF Hyde Park New Chandigarh.